Базальные субарахноидальные кровоизлияния (БСАК) могут быть травматическими и нетравматическими. Основной причиной возникновения травматического БСАК является разрыв стенки артерии. Основной причиной нетравматических БСАК является врожденная и/или приобретенная патология сосудистой стенки. Существующие классификации не отвечают требованию одновременного учета морфологических и этиологических признаков БСАК. Обсуждены сложности, возникающие при этиологической трактовке в клинической и судебно-медицинской практиках. 1. Al-Sarraj S, Fegan-Earl A, Ugbade A, Bodi I, Chapman R, Poole S, Swift B, Jerreat P, Cary N. Focal traumatic brain stem injury is a rare type of head injury resulting from assault: a forensic neuropathological study. J Forensic Leg Med. 2012;19(3):144–51. 2. Alhelali I, Stewart TC, Foster J, Alharfi IM, Ranger A, Daoud H, Fraser DD. Basal skull fractures are associated with mortality in pediatric severe traumatic brain injury. J Trauma Acute Care Surg. 2015;78(6):1155–61. 3. Baerlocher MO, Zakrison TL, Tien H, Aviv RI, Symons SP. Traumatic cervical vertebral artery transection associated with a dural tear leading to subarachnoid extravasation. Eur J Trauma Emerg Surg. 2009;35(1):67–70. 4. Bigler ED. Neuropathology of mild traumatic brain injury: Correlation to neurocognitive and neurobehavioral findings. In: Kobeissy FH, editor. Brain neurotrauma: molecular, neuropsychological, and rehabilitation aspects. Boca Raton (FL): CRC Press/Taylor & Francis; 2015. Chapter 31. 5. Boeris D, Mortimer A, Sakthithasan M, Evins AI, Sandeman D, Renowden S. Conservative management of a post-traumatic pseudoaneurysm of the artery of cervical enlargement-anterior spinal artery junction. J Neurointerv Surg. 2016;8(4):14. 6. Buyukkaya R, Yıldırım N, Cebeci H, Kocaeli H, Dusak A, Ocakoğlu G, Erdoğan C, Hakyemez B. The relationship between perimesencephalic subarachnoid hemorrhage and deep venous system drainage pattern and calibrations. Clin Imaging. 2014;38(3):226–30. 7. 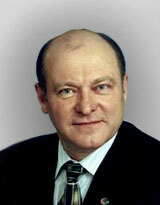 Bykovnikov LD. Neurologic manifestations of subarachnoid and parenchymatous hemorrhages caused by arterial aneurysm. Zh Nevropatol Psikhiatr Im S S Korsakova. 1991;7:16–9. Russian. 8. Cao Z, Guo ZY, Zhu BL. Forensic appraisal of subarachnoid hemorrhage. Fa Yi Xue Za Zhi. 2010;26(4):290–3. Review. Chinese. 9. Chen JH, Ishikawa T, Michiue T, Maeda H. Cerebellar contusions as a possible cause of traumatic basal subarachnoid hemorrhage: a case report. Leg Med (Tokyo). 2010;12(2):97–9. 10. Choi KS, Won YD, Yi HJ, Lim TH, Lee YJ, Chun HJ. Therapeutic and prognostic implications of subarachnoid hemorrhage in patients who suffered cardiopulmonary arrest and underwent cardiopulmonary resuscitation during an emergency room stay. Clin Neurol Neurosurg. 2013;115(10):2088–93. 11. Deepika A, Munivenkatappa A, Devi BI, Shukla D. Does isolated traumatic subarachnoid hemorrhage affect outcome in patients with mild traumatic brain injury? J Head Trauma Rehabil. 2013;28(6):442–5. 12. Deepika A, Prabhuraj AR, Saikia A, Shukla D. Comparison of predictability of Marshall and Rotterdam CT scan scoring system in determining early mortality after traumatic brain injury. Acta Neurochir (Wien). 2015;157(11):2033–8. 13. Ehrlich E, Farr T, Maxeiner H. Detection of arterial bleeding points in basilar subarachnoid hemorrhage by postmortem angiography. Leg Med (Tokyo). 2008;10(4):171–6. 14. Fabbri A, Servadei F, Marchesini G, Stein SC, Vandelli A. Early predictors of unfavourable outcome in subjects with moderate head injury in the emergency department. J Neurol Neurosurg Psychiatry. 2008;79(5):567–73. Epub 2007 Aug 31. 15. Filter ER, Fernandes JR. Fatal traumatic subarachnoid hemorrhage due to assault-related tear of the basilar artery. J Forensic Leg Med. 2009;16(7):414–6. 16. Galtés I, Borondo JC, Cos M, Subirana M, Martin-Fumadó C, Castellà J, Medallo J. Traumatic bilateral vertebral artery dissection. Forensic Sci Int. 2012;214(1–3):e12–5. 17. Galtés I, Rodríguez-Baeza A, Subirana M, Barbería E, Castellà J, Medallo J. A proposed dissection procedure for vertebral arteries in forensic pathology. J Forensic Sci. 2012;57(1):212–4. 18. Greebe P, Rinkel GJ, Algra A. Anosmia after perimesencephalic nonaneurysmal hemorrhage. Stroke. 2009;40(8):2885–6. 19. Hannequin P, Melot A, Triquenot A, Fréger P, Proust F. Rebleeding from a vertebral artery dissection in a child: an inflammatory vasculopathy? Neurochirurgie. 2012;58(1):30–3. 20. Hayashi T, Karibe H, Narisawa A, Kameyama M. Delayed deterioration in isolated traumatic subarachnoid hemorrhage. World Neurosurg. 2016;86:511.e9–14. 21. Ikegaya H, Yajima D, Iwase H. Vertebral artery rupture in a sudden death case after mild trauma. Am J Forensic Med Pathol. 2008;29(3):276–8. 22. Jabbarli R, Reinhard M, Roelz R, Shah M, Niesen WD, Kaier K, Taschner C, Weyerbrock A, Van Velthoven V. Outcome prediction after non-aneurysmal non-traumatic subarachnoid hemorrhage. Curr Neurovasc Res. 2015;12(3):269–76. 23. Jeon SW, Choi JH, Jang TW, Moon SM, Hwang HS, Jeong JH. Risk factors associated with subdural hygroma after decompressivecraniectomy in patients with traumatic brain injury: a comparative study. J Korean Neurosurg Soc. 2011;49(6):355–8. 24. Johnson CP, Murphy M, Johnson GA, Wills SM, Medcalf JE. A simple post mortem room angiography method for the investigation of traumatic basal subarachnoid hemorrhage. Forensic Sci Med Pathol. 2017;13(1):4–9. 25. Kaiser Ch, Schnabel A, Berkefeld J, Bratzke H. Traumatic rupture of the intracranial vertebral artery due to rotational acceleration. Forensic Sci Int. 2008;182(1–3): e15–7. 26. Karanjia R, Sadun AA, Konstas AA. Subarachnoid hemorrhage following angioplasty and stenting in a patient with primitive drainage pattern of the basal vein of rosenthal. J Stroke Cerebrovasc Dis. 2016;25(12): e222-e226. 27. Kikkawa Y, Natori Y, Sasaki T. Delayed post-traumatic pseudoaneurysmal formation of the intracranial ophthalmic artery after closed head injury. Case report. Neurol Med Chir (Tokyo). 2012;52(1):41–3. 28. Kim BC, Lee JI, Cho WH, Nam KH. Fatal traumatic subarachnoid hemorrhage due to acute rebleeding of a pseudoaneurysm arising from the distal basilar artery. J Korean Neurosurg Soc. 2014;56(5):428–30. 29. Kim BJ, Choi JI, Ha SK, Lim DJ, Kim SD. Hidden dense middle cerebral artery sign in a 4-year-old boy with traumatic subarachnoid hemorrhage. J Child Neurol. 2014;29(12): NP189–92. 30. Kim BJ, Kim SH, Lim DJ, Ha SK. Traumatic subarachnoid hemorrhage originating from mid-cervical arterial injury. World Neurosurg. 2015;84(4):1177.e13–6. 31. Kim S, Jun YJ, Na JI, Kim M. Rupture portions in the vertebral artery in traumatic basal subarachnoid hemorrhage. J Forensic Leg Med. 2017;52:221–222. 32. Kim S, Kim M, Lee BW, Kim YH, Choi YS, Seo JS. Investigation of bleeding focus in the intracranial vertebral artery with the use of posterior neck dissection method in traumatic basal subarachnoid hemorrhage. J Forensic Leg Med. 2015;34:151–4. 33. Kristoffersen S, Vetti N, Morild I. Traumatic dissection of the vertebral artery in a toddler following a short fall. Forensic Sci Int. 2012;221(1–3): e34–8. 34. Lee CK, Gray L, Maguire J. Traumatic vertebral artery injury: detailed clinicopathologic and morphometric analysis of 6 cases. Am J Forensic Med Pathol. 2009;30(2):134–6. 35. Lundgaard P, Leth PM, Gregersen M. Traumatic basal subarachnoid hemorrhage. Ugeskr Laeger. 2003;165(18):1855–9. Review. Danish. 36. Mata-Mbemba D, Mugikura S, Nakagawa A, Murata T, Kato Y, Tatewaki Y, Li L, Takase K, Ishii K, Kushimoto S, Tominaga T, Takahashi S. Intraventricular hemorrhage on initial computed tomography as marker of diffuse axl onal injury after traumatic brain injury. J Neurotrauma. 2015;32(5):359–65. 37. Matsumoto Y, Nagashima H, Toriyama T, Kobayashi S, Hongo K. Uncommon course for a vertebral artery dissection: rupture, occlusion and recanalization. J ClinNeurosci. 2008;15(6):700–3. 38. Michels G, Pfister R. Inverted takotsubo cardiomyopathy due to subarachnoid haemorrhage. Med Klin Intensivmed Notfmed. 2016;111(2):145–9. 39. Miki T, Ikeda Y, Utsugi O, Ito H. Evaluation of traumatic subarachnoid haemorrhage on computed tomography. J Clin Neurosci. 1998;5(1):49–57. 40. Motomura A, Inokuchi G, Yajima D, Hayakawa M, Makino Y, Chiba F, Torimitsu S, Sato K, Otsuka K, Kobayashi K, Odo Y, Iwase H. Observation of vertebral artery damage using angioscopy in autopsy cases. Int J Legal Med. 2014;128(6):979–85. 41. Nagahata M, Kondo R, Mouri W, Sato A, Ito M, Sato S, Itagaki H, Yamaki T, Nagahata S, Saito S, Kayama T. Bilateral carotid and vertebral rete mirabile presenting with subarachnoid hemorrhage caused by the rupture of spinal artery aneurysm. Tohoku J Exp Med. 2013;230(4):205–9. 42. Nakazawa T, Takeichi Y, Yokoi T, Fukami T, Jito J, Nitta N, Takagi K, Nozaki K. Treatment of spontaneous intradural vertebral artery dissections. Neuroradiol J. 2011;24(5):699–711. Epub 2011 Oct 24. 43. Nakstad PH, Gjertsen O, Pedersen HK. Correlation of head trauma and traumatic aneurysms. Interv Neuroradiol. 2008;14(1):33–8. Epub 2008 May 12. 44. Ogborne R, Spoor J, James G. Haemorrhage into a cavernoma after traumatic head injury in a child. Childs Nerv Syst. 2017;33(7):1033–1034. 45. Ohba S, Kuroshima Y, Mayanagi K, Inamasu J, Saito R, Nakamura Y, Ichikizaki K. Traumatic aneurysm of the supraclinoid internal carotid artery-case report. Neurol Med Chir (Tokyo). 2009;49(12):587–9. 46. Oka K, Yamashita M, Sadoshima S, Tanaka K. Cerebral haemorrhage in Moyamoya disease at autopsy. Virchows Arch A Pathol Anat Histol. 1981;392(3):247–61. 47. Pandey N, Mahapatra A, Singh PK. Bilateral large traumatic hemorrhage of the basal ganglion. Asian J Neurosurg. 2014;9(4):240. 48. Pickup MJ, Pollanen MS. Traumatic subarachnoid hemorrhage and the COL3A1 gene: emergence of a potential causal link. Forensic Sci Med Pathol. 2011;7(2):192–7. 49. Popov VL. [Forensic medical assessment of the role of the injury and pathology in the development of basal subarachnoidal hemorrhage]. Sud Med Ekspert. 2013;56(3):12–7. Review. Russian. 50. Ro A, Kageyama N, Hayashi K, Shigeta A, Fukunaga T. Non-traumatic rupture of the intracranial vertebral artery of a man found dead in a severe car accident – histopathological differentiation by step-serial sections. Leg Med (Tokyo). 2008;10(2):101–6. Epub 2007 Nov 5. 51. Ro A, Kageyama N, Takatsu A, Fukunaga T. Differential diagnosis between traumatic and nontraumatic rupture of the intracranial vertebral artery in medicolegal autopsy. Leg Med (Tokyo). 2009;11(Suppl 1):66–70. 52. Ro A, Kageyama N. Pathomorphological differentiation between traumatic rupture and nontraumatic arterial dissection of the intracranial vertebral artery. Leg Med (Tokyo). 2014;16(3):121–7. 53. Salvatori M, Kodikara S, Pollanen M. Fatal subarachnoid hemorrhage following traumatic rupture of the internal carotid artery. Leg Med (Tokyo). 2012;14(6):328–30. 54. Sato T, Tsuboi K, Nomura M, Iwata M, Abe S, Tamura A, Tsuchihashi H, Nishio H, Suzuki K. Traumatic basal subarachnoid hemorrhage suspected to have been caused by contrecoup cerebellar contusions: a case report. Leg Med (Tokyo). 2014;16(2):92–4. 55. Seerangan G, Narayanan M. A rare case of subarachnoid hemorrhage due to rupture of isolated anterior spinal artery aneurysm in a patient with polycystic kidney disease. Case Rep Nephrol Urol. 2012;2(2):108–12. 56. Shad A, Rourke TJ, Hamidian Jahromi A, Green AL. Straight sinus stenosis as a proposed cause of perimesencephalic non-aneurysmal haemorrhage. J Clin Neurosci. 2008;15(7):839–41. 57. Shigemori M, Tokutomi T, Hirohata M, Maruiwa H, Kaku N, Kuramoto S. Clinical significance of traumatic subarachnoid hemorrhage. Neurol Med Chir (Tokyo). 1990;30(6):396–400. 58. Silva MA, See AP, Khandelwal P, Patel NJ, Aziz-Sultan MA. Delayed subarachnoid hemorrhage 7 years after cerebellar infarction from traumatic vertebral artery dissection. BMJ Case Rep. 2017;9(4):e9. DOI: 10.1136/neurintsurg-2016-012507.rep. 59. Takahara T, Terai C, Okada Y, Mimura K, Mukaida M. Fatal traumatic subarachnoid hemorrhage due to rupture of the vertebral artery. Intensive Care Med. 1993;19(3):172–3. 60. Takayama M, Kashiwagi M, Hara K, Matsusue A, Waters B, Ikematsu N, Kubo SI. Basal subarachnoid hemorrhage by rupture of arteriovenous malformation at the cerebellopontine angle. Neuropathology. 2017;37(5):441–5. 61. Takeuchi S, Takasato Y, Masaoka H, Hayakawa T, Yatsushige H, Shigeta K, Otani N, Wada K, Nawashiro H, Shima K. Traumatic basal ganglia hematomas: an analysis of 20 cases. Acta Neurochir Suppl. 2013;118:139–42. 62. Tanoue K, Matsui K, Nozawa K, Aida N. Predictive value of early radiological findings in inflicted traumatic brain injury. Acta Paediatr. 2012;101(6):614–7. 63. Tasaki O, Shiozaki T, Hamasaki T, Kajino K, Nakae H, Tanaka H, Shimazu T, Sugimoto H. Prognostic indicators and outcome prediction model for severe traumatic brain injury. J Trauma. 2009;66(2):304–8. 64. Triolo V, Argo A, Zerbo S, Bono G, Bonifacio A, Pugnetti P, Procaccianti P. Lethal rupture of post-traumatic aneurysm of the vertebral artery case report. J Forensic Leg Med. 2009;16(3):168–71. 65. Van de Nes JA, Bajanowski T, Trübner K. Fibromuscular dysplasia of the basilar artery: an unusual case with medico-legal implications. Forensic Sci Int. 2007;173(2– 3):188–92. Epub 2007 Mar 23. 66. Verma R, Sahu R, Lalla R. Subarachnoid haemorrhage as the initial manifestation of cortical venous thrombosis. BMJ Case Rep. 2012;21. DOI: 10.1136/bcr-2012-006498. 67. Walcott BP, Stapleton CJ, Koch MJ, Ogilvy CS. Diffuse patterns of nonaneurysmal subarachnoid hemorrhage originating from the Basal cisterns have predictable vasospasm rates similar to aneurysmal subarachnoid hemorrhage. J Stroke Cerebrovasc Dis. 2015;24(4):795–801. 68. Wang CH, Lee HC, Cho DY. Traumatic pseudoaneurysm of the middle meningeal artery: possible indicators for early diagnosis in the computed tomography era. Surg Neurol. 2007;68(6):676–81; discussion 681–2. 69. Wong B, Ong BB, Milne N. The source of haemorrhage in traumatic basal subarachnoid haemorrhage. J Forensic Leg Med. 2015;29:18–23. 70. Wu XM, Zhang XD, Yun LB, Liu M, Yi XF. Sudden death from ruptured intracranial vascular malformations during mechanical asphyxia: a domestic violence case report. Am J Forensic Med Pathol. 2017;38(1):35–8. 71. Yamakawa H, Ohe N, Yano H, Yoshimura S, Iwama T. Venous drainage patterns in perimesencephalic nonaneurysmal subarachnoid hemorrhage. Clin Neurol Neurosurg. 2008;110(6):587–91.